As well known it is that alcohol can affect your whole body in a bad way, most of us do like a couple of drinks every now and then. And while having a beverage or two in moderation is totally fine, excessive drinking can be bad for your liver, blood sugar levels, skin, and weight. But how often do we stop and think what alcohol does to our teeth and gums? If you’re trying to protect your healthy white teeth, you should be aware of how exactly alcohol affects your dental health, so in this article, we’ll be sharing this with you. Red wine, dark beer, and even dark sodas can reduce your teeth whiteness in both short and long term. You might notice that immediately after a glass of wine your teeth become a little darker but after you brush your teeth they get better again. However, in the long term, red wine can actually make your teeth permanently stained or discolored. This is due to the pigment-producing substances called chromogens and tannins. They bind to your enamel which can make your teeth stained or yellowish. There are a few things you can do if you want to avoid this side effect. You can drink your beverages through a straw. This can be a little weird for red wine lovers but if you don’t care about that, definitely have your drinks this way. Drinking through a straw helps to avoid direct contact with your drink and your teeth, and less contact means fewer stains. Another thing you can do is to rinse your mouth with water between drinks. Having a glass or a bottle of water next to you is always a good idea. Besides keeping you hydrated, drinking water helps wash away the staining substances that are the enemies for your white smile. As you probably know, alcohol acts as a diuretic and is able to dehydrate you. You might already know this if you have woken up really thirsty in the middle of the night or in the morning after you’ve had a few drinks. This dehydration leads to a decrease in saliva flow which isn’t good for your teeth. Healthy saliva flow is needed to keep your teeth strong. It washes away bacteria, plaque, and food particles from your teeth and it protects your enamel. To avoid dryness in your mouth, you should try to stay hydrated by drinking water between your beverages. This will keep your saliva flow at a healthy level and will help reduce the risk of gum disease and tooth decay. Another thing you can do is to chew sugar-free Xylitol gun. It also helps increase the saliva production and as a bonus, it freshens your breath. High sugar intake in your diet can be bad for your teeth and health. The bacteria in your mouth live on sugar, so by having food and drinks that are very sugary, you are giving bacteria a lot to thrive on. It stays on the enamel of your teeth, then bacteria starts to eat it and this is how you get tooth decay. Most beverages contain some amount of sugar but you can choose ones that are lower in sugar so that the risk of getting cavities is smaller. Most hard alcohol including vodka, gin, tequila, rum, and whiskey are pretty low in sugar so a moderate amount of them will not cause you harm. Other drinks you can opt for, for healthier teeth are prosecco, dry white wine, dry champagne, and beer. In most alcohol drinks and cocktails we can find a high amount of sugar. But besides that, a lot of beverages have added citrus juice like orange and lemon. The acidity from these citrus fruits can break down the enamel of your teeth and that can lead to tooth decay. Acidity can also make your teeth hypersensitive. So if your drink has a squeeze of lemon in it, you’d better drink it with a straw to avoid damage and enamel erosion. You can break or damage your teeth if you chew on the ice of your drinks too. So avoid doing that and have a glass of water instead. Some alcoholic drinks like champagne and prosecco are carbonated which can be bad for your teeth. This is because carbonic acid is used to carbonate the drink. This acid, just like the one from citrus fruit we already mentioned, erodes the enamel and causes cavities. A lot of types of cancer are linked to the high consumption of alcohol. This includes oral cancer. Studies show that after tobacco use, the second most common risk factor that leads to oral cancer is alcohol. Heavy drinkers do experience the bad effects of alcohol much stronger than people who have a drink from time to time. But it is always good to know that too much alcohol can lead to gum disease (gingivitis and periodontitis), mouth sores, dry mouth, cavities, and even tooth loss. 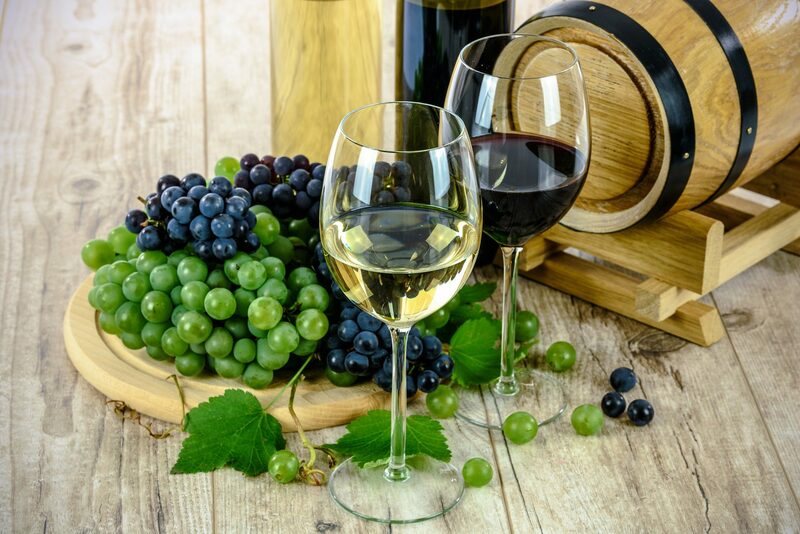 Some research shows that regular consumption of red wine in moderation can reduce the risk of heart disease and strokes as it helps blood circulation. Besides that, thanks to grapes, red wine is rich in antioxidants which fight free radicals and can prevent cardiovascular diseases. However, just like with most things, too much of it can be very bad for you. Heavy drinking can worsen your overall health and can lead to different conditions like liver problems, bad skin, bad sleep, and bad metabolism. But alcohol can be bad for your oral health too. Many factors about alcoholic drinks can also increase your risk of tooth decay, gum disease, and even mouth cancer. This shouldn’t come as a surprise since all organs in our bodies are connected. So consuming something harmful can lead to a chain of problems. So, enjoy your favorite drinks to wind down from time to time but be aware of the possible outcomes of excessive drinking too.